[*]Ladders and Rankings, secured against cheating. Just like in WoW, Achievements will be added to Diablo II and StarCraft III. Achievements such as “Win 100 StarCraft II games”, or “Level your character to 100” are the new way of playing online and will be recorded on Account basis. Blizzard have explained that all games’ Achievements will give a score that stacks to give you a “Blizzard level”. Whether these features will be available only for new games, or all Blizzard’s Battle.net games is unknown but it seems likely they will only be available in new releases. A preview of this system can be found in World of WarCraft, where testing is now commencing in the Wrath of the Lich King Beta. For the second page, we’ll describe the Blizzard Accounts, Profiles, Achievements, Online Responsibility and Battle.net 2.0 Launch Date. If these “Blizzard Accounts” are the same as the current ones, or if they will be located on Battle.net is not yet revealed. Considering the handy integration with the Blizzard Store, it seems likely. There is currently a web presence for the games today through Battle.net, but there is still room for improvement. Even Blizzard reps admit to that, and say: “Wait for B.net 2.0!”. Blizzard sources have said that they will make upgrades to the forums, and that these boards won’t be flooded with thousands of spam threads every so often. We’ll get to sort friends lists and other features directly on one control panel on the web – On Battle.net, or linked to it. A forum software like the WoW boards seems likely. Even vBulletin now uses profile pages (example: Leord) for creating stronger bonds with the community, and the account at Battle.net will surely outdo that! It would have a registration similar to the Blizzard Store and possibly even tie in the store to the account for easy upgrades/purchases. While we don’t know if the Accounts will be located on Battle.net, they will most likely be an integral part of the Battle.net experience, and linking together Achievements from WoW, StarCraft II and Diablo III. You would be able to register your games with the central account, and get to see all your stats as well as friends’ (or foes’). The account will probably be able to give you detailed stats of your games and characters, just like the World of WarCraft Armory. Accountability is another thing that comes with an account. If you use a hack, or try to maliciously exploit a game, you could be banned from not only your game, but all the social contacts, Achievement points and status that comes with it – perhaps even other games you have bought! While you would still be able to play offline, it’s a BIG step towards making people feel more responsible for their actions online. Add in personal ban lists, or alert lists of “bad” players, and you’ll realize you might want to behave online, or be left out! Blizzard never give release dates (…any more! They used to, a long time ago), we do actually have an ETA on both Battle.net 2.0 and StarCraft II. Diablo III’s date is unfortunately still held in mystery, but we will probably get a better idea at BlizzCon 2008. We know that the first true peek of Battle.net 2.0 will be given at the latest by the StarCraft II release (more likely by the StarCraft II beta). The StarCraft II beta seems likely to start before the end of the year, so the new Battle.net will at least be available to try out by then. 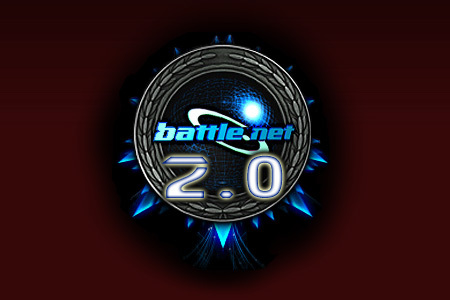 With this information, the definite release date of Battle.net 2.0 then really becomes a discussion of the StarCraft II release date, a few months from now we’ll be surfing it and counting the score points to our next “Blizzard Level”. I think probably sometimes towards the end of the year, we’re going to really start talking about the new Battle.net features as they pertain to StarCraft 2. Play over Battle.net, join your friends at any time. We have a lot of improvements to Battle.net. Whole newer version of it. It’s going to premiere with sc 2. you can be sure everything Starcraft 2 uses we’ll take advantage of and many more cool features. It supports easy communication and connection with other players. Matchmaking. Get online, find friends, have a good time quickly. On the multiplayer side [of Diablo III], Battle.net isn’t ready to premiere yet, but we’ll have more about that in the coming months.